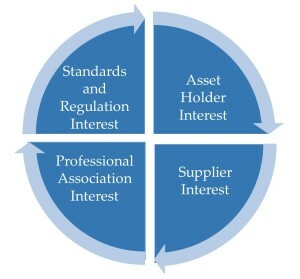 Members and Patrons of the Asset Leadership Network have a unique opportunity to impact the future of strategic asset management principles and practices, and differentiate your organization through recognition as an industry leader in adoption of these value creation strategies. 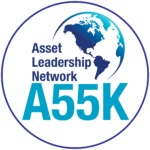 We invite you to review the information that follows and join the Asset Leadership Network as a Patron, Sponsor or Member. Membership enables you and your entire organization to be involved in influencing, promoting and applying asset management best practices to help your organization and other organizations to remain competitive and compliant in today’s ever-changing economic environment. Membership provides involvement and participation opportunities for an unlimited number of participants from your organization. Patrons – $5,000 to $10,000 – organizations with a special commitment to furthering the mission of the ALN, and promote Asset Management and ISO 55000 in North America may elect to support the ALN at the Patron level. Patrons will receive special considerations and benefits beyond Organizational Members, Professional/Trade Organizations and Individual Contributor memberships, including representation on the ALN Patrons Network. Patrons have the opportunity to advise the ALN Executive Board on strategic direction. Patrons will have special access with opportunities for greater participation in ALN strategic initiatives. Organizational Member – $1,500 to $2,500 – representatives from your organization are invited to participation in Asset Leadership Network activities, such as, Member Forums, Events, Caucuses, Boards, Work Groups, and Panels. Individual Contributor – $0 – by invitation only, individual contributors must receive approval from the ALN Executive Board members prior to joining. 4) Opportunity to Define and Drive Asset Management Best Practices in your specific areas of interest; and more. For more information, email membership@assetleadership.net or download the .pdf membership application.